Thank you card, originally uploaded by losmedanosart. 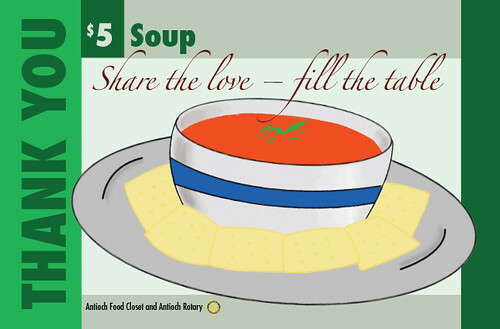 LMC art and graphics student Diana Longoria created a set of graphics and drawings for the Antioch Food Closet and Antioch Rotary "Thank you" cards. The Antioch Chamber of commerce printed a boatload and they're sending them to people who contribute to the program. They'll be sending zillions and Diana will be famous! We managed to sneak in her name, and "Los Medanos College" onto the back of the card.